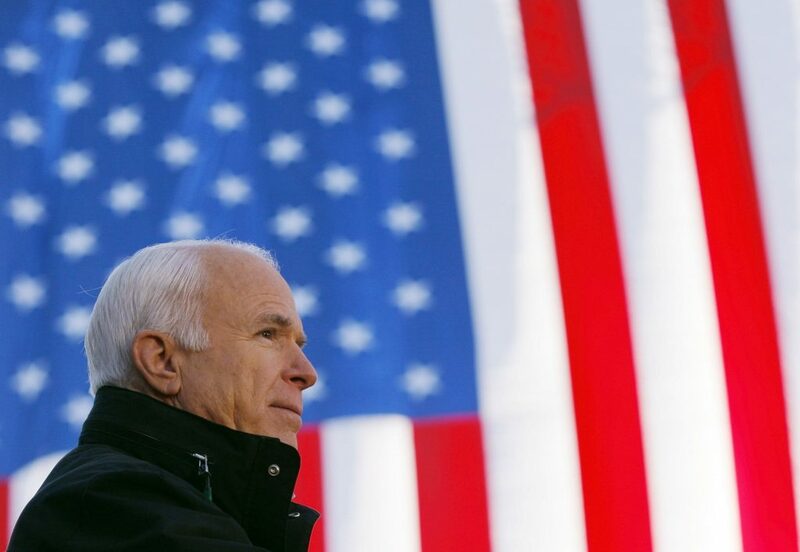 The United States Senate and Republican Party lost one of their biggest champions for bipartisan immigration reform and most vocal critics of President Trump’s immigration policies when Senator John S. McCain III (R-AZ) passed away at the age of 81 last week. While McCain will largely be remembered for his 32-year career in the Senate where he consistently championed immigration reform, McCain’s legacy on immigration is imperfect. This included his vote against legalizing 2.5 million people through the Immigration Reform and Control Act (IRCA) of 1986, to supporting Arizona’s hard-line immigration bill SB 1070, to using “build the dang fence” as part of his 2010 election campaign messaging. However, McCain long believed there was a bipartisan deal to be made to legalize undocumented immigrants and create a functional legal immigration system. In 2005, McCain—along with former Senator Edward Kennedy (D-MA)—introduced the Secure America and Orderly Immigration Act, commonly referred to as McCain-Kennedy. Although the proposal never received a vote on the Senate floor, it would become the basis for future proposals that included a path to citizenship for undocumented immigrants, increased border security, and recommendations for addressing the nation’s labor needs. McCain and Kennedy—along with a bipartisan group of Senators—would try again in 2006 and 2007 to pass immigration reform to no avail. In 2010, when McCain found himself in a heated Republican primary, he took a harder line on immigration. He came out with ads calling on Congress to “build the dang fence,” a reference to 600 miles of border fencing built along the Southern border, much of it in Arizona. He also became an outspoken defender of Arizona’s anti-immigrant SB 1070 legislation, known widely as the “show me your papers” bill. McCain called the bill an “important step forward.” The Supreme Court ultimately struck down several its most problematic provisions in 2012. However, the senator’s turn to the right on immigration did not last long. McCain easily won his primary against former Congressman J.D. Hayworth and then the general election. This victory allowed McCain to take up the cause of immigration reform again. In the summer of 2013, McCain was once again an instrumental member of the so-called “Gang of Eight” that led the Senate in passing the Border Security, Economic Opportunity, and Immigration Modernization Act of 2013 by a 68 to 32 margin. Among other proposals, the bill would have opened a pathway for citizenship to many undocumented immigrants. However, the House of Representatives refused to bring it up for a vote, despite likely having the support of a majority of the chamber. The 2016 election led Senator McCain to differ sharply and publicly with President Trump on the issue of immigration. He publicly disagreed with the president’s choice to end the Deferred Action for Childhood Arrivals initiative and called the family separation policy an “affront to the decency of the American people and contrary to principles and values upon which our nation was founded.” In his 2018 book “The Restless Wave,” McCain took it a step further by calling Trump’s treatment of refugees “appalling” and considered the deportation of longtime residents as cruel and inhumane. Senator McCain will be sorely missed in future immigration policy deliberations on Capitol Hill. His leadership and bipartisan approach are exactly what our nation needs.